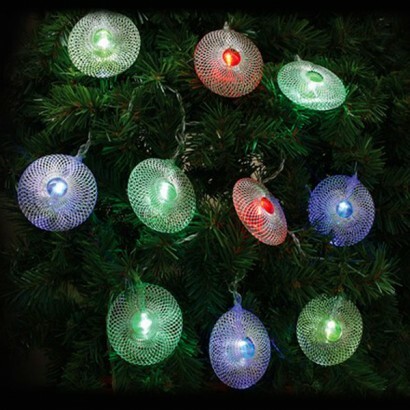 A colourful set of 20 Led Wire mesh stringlights for indoor use only. The disc shades are 5cm in diameter and 2cm deep and are set 15cm apart on the clear cable. Length of illumination is 2.85 metres with 2 metres of cable from plug to first bulb. 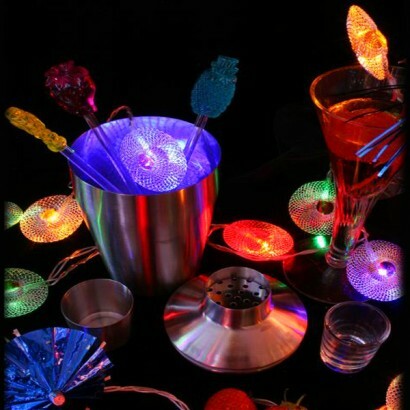 The Leds in this set emit bright and vibrant colours and being LED only consume 1Watt of power so they're Super Energy efficient too!